OK – we’ve all seen them. Church flyers. Whether they are advertisement of an event or celebration or anniversary or a billboard in the sky, if you live long enough in your church, you will either receive or help pass them out. Nowadays with a greater emphasis on graphic artistry, people are creating eye-catching flyers with “bells and whistles.” I want to review a few basics on church flyers, especially for pastors and graphic artists. 1. Remember your audience. Putting information in 6 or 8 pt. type font is really difficult to read. Especially if the most important information is found in that section. Remember that your flyer has the potential to be read or seen by children as young as five and adults as old at 100 plus. 3. Have your flyer spell-checked. If I see one more flyer that spells church “c-h-r-u-c-h” I’m going to scream! I frequently use a spell-checker and even a sermon proof reader (my wife) because what may be right to my eyeballs may be completely wrong. Make sure that everything looks perfect in spelling. 4. Don’t forget the basics. On every church flyer the following information should be there: (a) The name and address of the Church; (b) The Pastor’s Name (who would want to accept a dinner invitation if you didn’t know who’s inviting you? ); (c) The title of the event; (d) The date, location and time of the event (especially if it’s off-site). 5. No picture is better than a horrible picture. Make sure to use photographs that look good. Also CROP THEM, especially of a speaker so that their head and just a little portion of the upper body shows. Take out distracting backgrounds as well. But if you don’t have a suitable picture get a graphic (more about that next) and use in it’s place. 6. Someone asked me where do I get those fancy photos from? Simple – go to http://images.google.com and there is a plethora of FREE graphics there. Just be judicious when it comes to size and (big no-no) never use a graphic that is watermarked. It means that you didn’t gain copyright of it but there are more than enough out there. 7. For the internet (especially Facebook) I use (on Photoshop) a photo size of 4″ x 6″ which works great on Facebook. But after I have composed it, I save it using Photoshop’s “Save For Web” future and I cut the size down to 800 picas width and 533 picas tall (which should automatically set). 8. I recommend (if you refer this project out to a graphic designer) never allowing the graphic designer to put their contact information on your flyer unless you are getting a substantial cut in the costs. I design 95% of everything that we have at our church and I never put “Designed By” on the flyer. It’s a waste of time and space. 9. I want to say that Photoshop is the bomb. So is InDesign. If you don’t have the money for either of those programs, Photoshop Elements does just as well (minus some of the bells and whistles). 10. Be careful of putting black or dark print on a dark or black background. If you do so, you want to make sure that you make the original fonts with a stroke (highlighter) that encompasses the entire word or phrase. 11. Borrow ideas. Nothing is original. 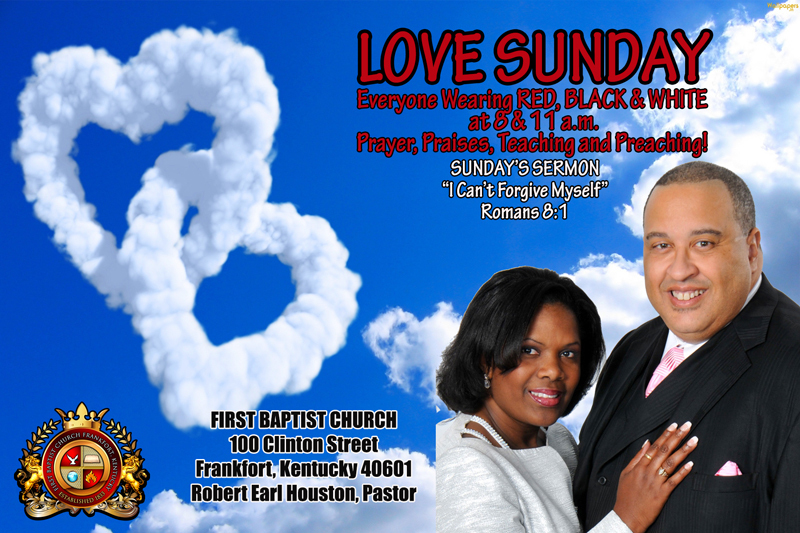 Go to http://www.google.com and place a search for “church flyers” or “event flyers” and see what’s out there. 12. Always use your logo. 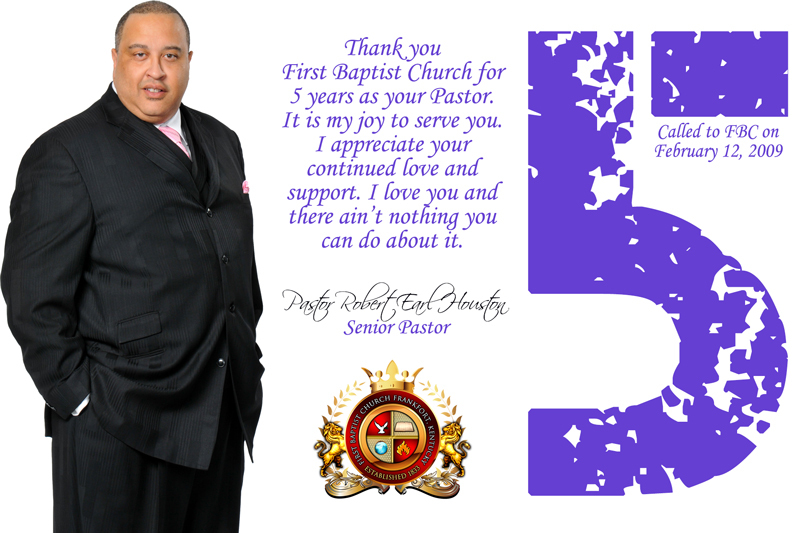 It’s like the stamp of approval for your ministry. People will begin to identify the logo with the ministry. Don’t have a logo? Get someone to design one for you. I’ve used graphic artists to produce my first basic one and our newer logo. 13. Less is more. I was in Georgia and saw a billboard for a ministry and they had at least 15 lines of text on the billboard. I was driving 80 and may have finished one line. Make it bold. Make it pop. Make it fast. 14. Need flyers printed and in a hurry. Here’s my secret: Once you save your completed file, go to http://www.walgreens.com. Check on their photo section. You can upload the photo and have them print the copies on photo paper (glossy pop!) and they do it within 1-2 hours, no matter the size. And they often have sales. So your 4 x 6 photo can be done with 300 copies at a very minimal cost. The longtime pastor of a northwest Georgia church was killed Sunday night in a head-on collision with an allegedly drunk driver in Bartow County. The Rev. Nim B. Russell died just hours after celebrating his 23rd year as pastor of Rome’s Thankful Baptist Church. According to the Georgia State Patrol, Russell was eastbound on Ga. 140 in Bartow County about 8:30 p.m. Sunday when a westbound pickup truck crossed the center line and hit Russell’s 2007 Mercedes Benz E350 head-on. GSP spokesman Gordy Wright said Russell, 55, of Adairsville, died in the crash, which happened near Big Oak Tree Road west of Adairsville. A passenger in the Mercedes, identified by the church as Russell’s wife, Julia, was injured and was taken to Floyd Medical Center. The driver of the 2014 Dodge Ram 1500 pickup truck, Michelle Blum, 47, of Adairsville, and a passenger in the truck, Charles Louis Blum III, were also taken to Floyd Medical Center for treatment, according to Wright. Late Monday morning, the GSP charged Michelle Blum with first degree vehicular homicide, driving under the influence, serious injury by vehicle, driving on the wrong side of the road and driving without headlights. PASTOR Russell is a native of Hurtsboro, Alabama. He is married to the former Julia Pink. 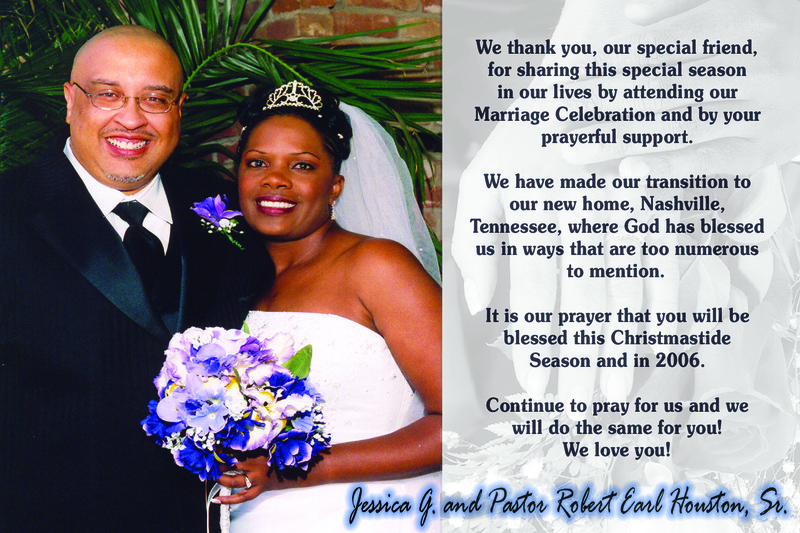 They have been married 33 years and have three children; Octavious, Nicole and Rachael Russell. 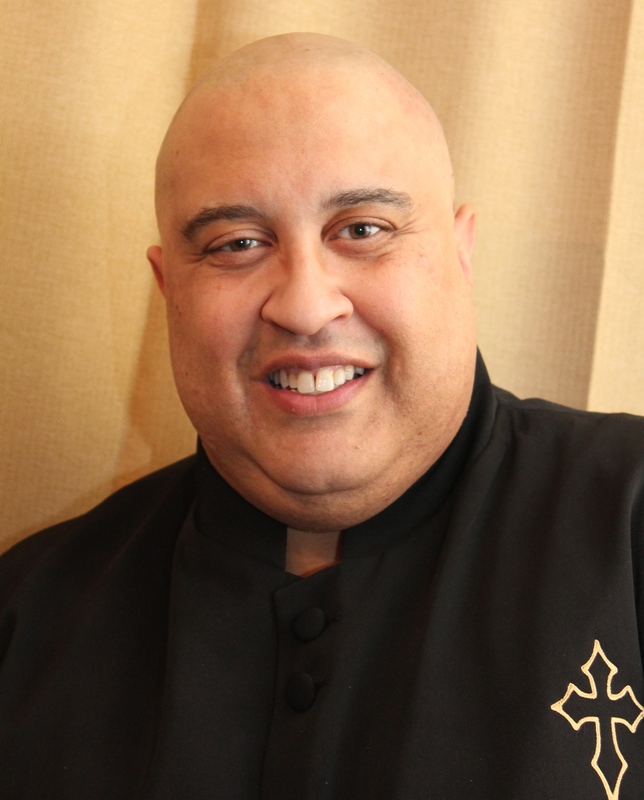 Reverend Russell has a Bachelor of Theology Degree from Interdenominational Institute of Theology, Montgomery, AL and a Master of Divinity from Covington Theological Seminary of Rossville, Georgia. He received a certificate in Blueprint Reading, Precision Instrument for Quality Control from Opelika Technical College, Opelika, AL. He’s attended Southern Union State Junior College, majoring in Social Science and Chattahoochee Valley Community College, majoring in Pre-Law. Pastor Russell was called into the ministry of Jesus Christ in December of 1982. He pastors the Second Missionary BaptistChurch of Wetumpka, Alabama for six years before being called to the pastorate of Thankful Missionary Baptist Church in 1991. 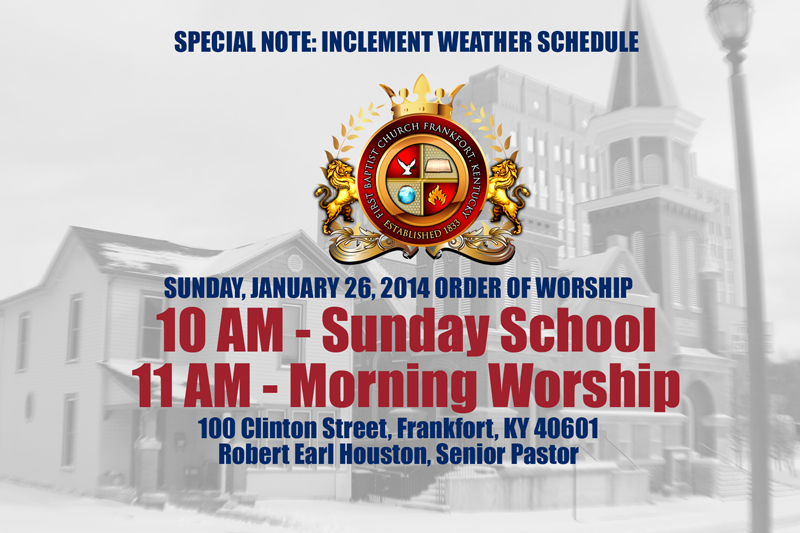 Pastor Russell has initiated many programs in the Church. He appointed the first Youth Minister to staff at ThankfulMissionary Baptist Church. Out of his spiritual inspiration were produced Fourteen sons and four evangelist, nine sons are now serving as pastors of churches through this country. The Russell Life Center, a 1.2 millions dollar building was builted in 1994. The Church participated in the Mission Exchange program and took a youth group on an International Trip to Old East Germany. A second location for Thankful Baptist was developed called Thankful Baptist Kennesaw (TBK). Thankful After School Care program with 501-C (3) status was established in 1998. There are many other accomplishments God has performed through this man of God. Reverend Russell have numerous religious, community, and civic endeavors and affiliations: GMBC State Congress of Christian Education and North Georgia Association Instructor, Dean of Covington Theological Seminary Rome Branch, Chairman of the Christ Builders Cooperation Board and recently was named as the Vice President of the North Georgia Region for the General Missionary Baptist Convention of Georgia, Inc. and many others. Pastor Russell is a gifted teacher, preacher, revivalist that God is using in a very powerful and awesome way throughout this country. 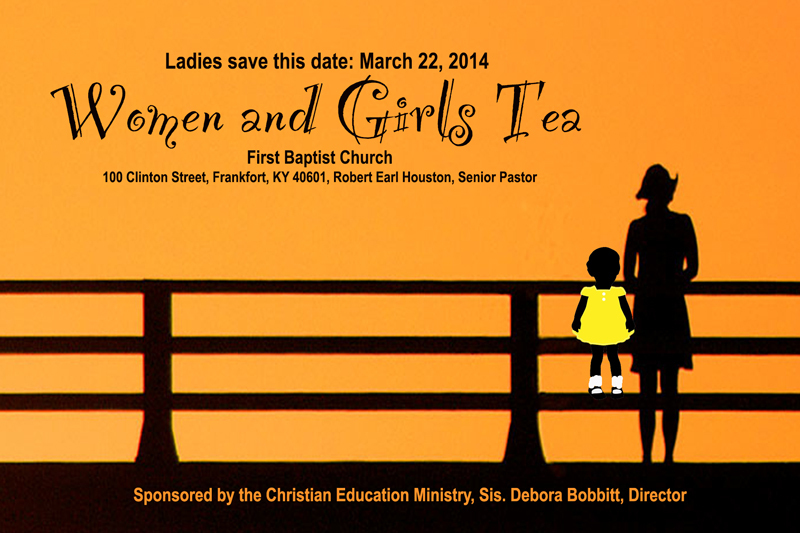 He facilitates workshops on Stewardship, Leadership and Transitioning the Local church. He has produced workbooks such as CSWIM (Christian Singles Winning in the Mind) for singles and MEGGA Men (Men Experiencing Godly Glory and Authority) for empowering men. 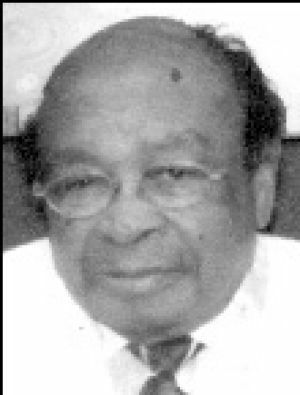 Dr. Lafayette Fernandez Chaney, Sr. was born on March 27, 1917, the second child of three children born to Adell and Tom W. Chaney of Waco, Texas. 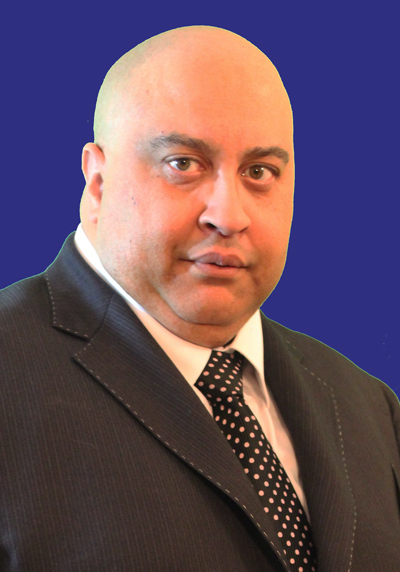 He was educated in the public schools of Waco and La Vega Independent School Districts. He graduated from Moore High School in Waco. He received both his Bachelor of Arts and Bachelor of Divinity Degrees from Paul Quinn College. He received his Master of Arts Degree from Texas Southern University and furthered his studies in the doctoral program at Baylor University. He received his doctoral degree in Higher Education from Texas Southern University. He taught mathematics and science at his former High School for twelve years and was principal of Oakwood Elementary School in Waco for eleven years. He also taught mathematics and psychology at Waltrip Senior High School in Houston. During the same period he was an adjunct professor of mathematics and psychology at Houston Community College. Dr. Chaney’s professional membership and honors include: Past President of Waco Classroom Teachers Association, Waco Administrators Association and the Central Texas District Teachers Association. In 1965 he was nominated for “Who’s Who” among professional men in Texas. He was a member of the American Association of University Professors, Phi Delta Kappa and Alpha Phi Alpha Fraternities. 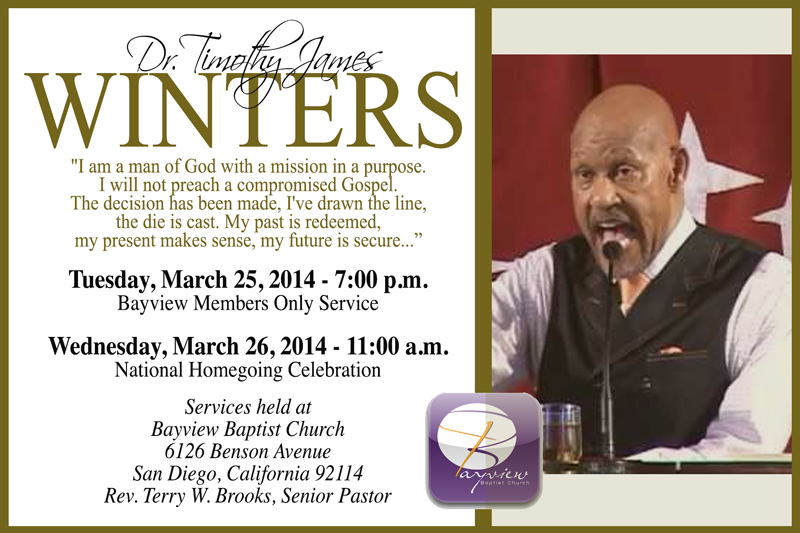 One of the most influential pastors in my lifetime has passed away – the Reverend Dr. Timothy James Winters, the retired pastor/builder of the Bayview Baptist Church in San Diego, California, went home to be with the Lord early Saturday morning, March 15, 2014. I had known of Dr. Winters for years as a young preacher when he would come to Portland, Oregon to preach for the late Dr. O.B. Williams. Little did I know then that I would have the privilege of being a colleague of his and sharing pulpits with him. In the 1970s there were a group of “young guns” in the National Baptist Convention of America, Inc. – Dr. E.K. Bailey, Dr. Stephen John Thurston, Dr. S.J. Gilbert, Sr., Dr. Melvin Von Wade, Sr., Dr. A. Bernard Devers, Dr. E. Edward Jones, and of course, Dr. Winters. These “young guns” were sought out for their preaching and pastoral excellence. They came to the convention and you would see them transpose the length and breadth of the convention in various settings. Each one of them would rise denominationally and as individuals. Dr. Winters did rise. He was called to a small congregation, the Bayview Baptist Church, in San Diego in the 1970s. He was a police officer who was called to preach and he pursued education. He wanted to be on the cutting edge and not just a preacher, but an effective communicator and visionary. Bayview grew exponentially. It was the fastest growing congregation in San Diego for years. He went on to serve not only Bayview, but he sat on too many boards and committees and commissions to name here. 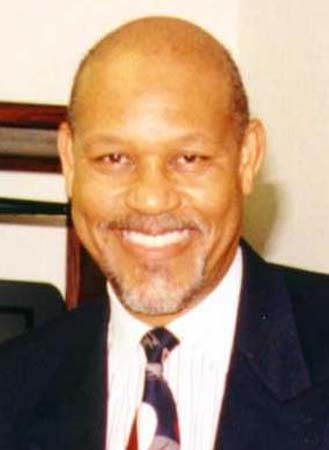 He was the President of the Baptist Ministers United of San Diego and Vicinity, the Vice Moderator of the Progressive District Baptist Association, the Vice President of the California Missionary Baptist State Convention, the Educational Board Chairman of the National Baptist Convention of America, Inc. He started the Christian Growth Ministries because of his desire to share what he knew with other pastors and ministers. Sadly, he just hosted a training session less than 30 days ago – his last session. Dr. Winters embraced technology. When I came to San Diego, Churches on the internet were rare and I was one of the voices in that realm of the black Baptist Church. 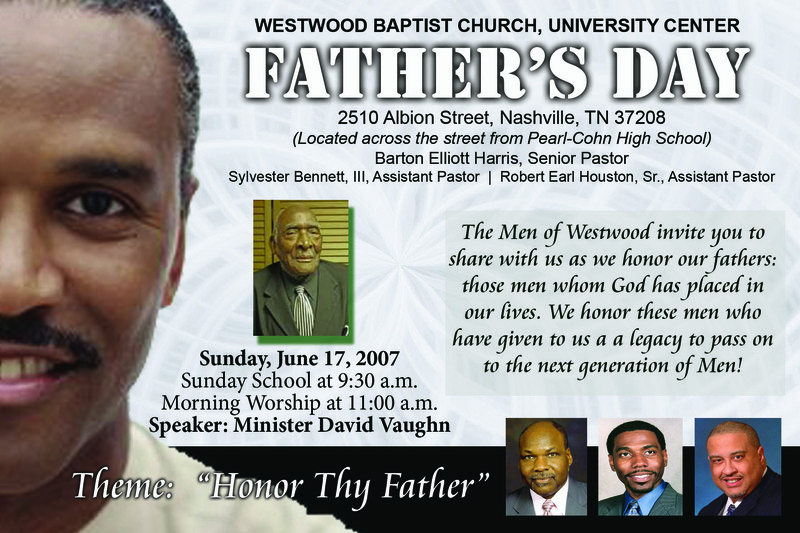 He not only embraced it but he took Bayview into it with sermons, videos, teaching, and etc. Dr. Winters’ trademark was that seaman’s captain hat that he wore across the nation. He loved the ocean and in his latter years, he and his wife Betty moved near the sea and had a view of it every day. 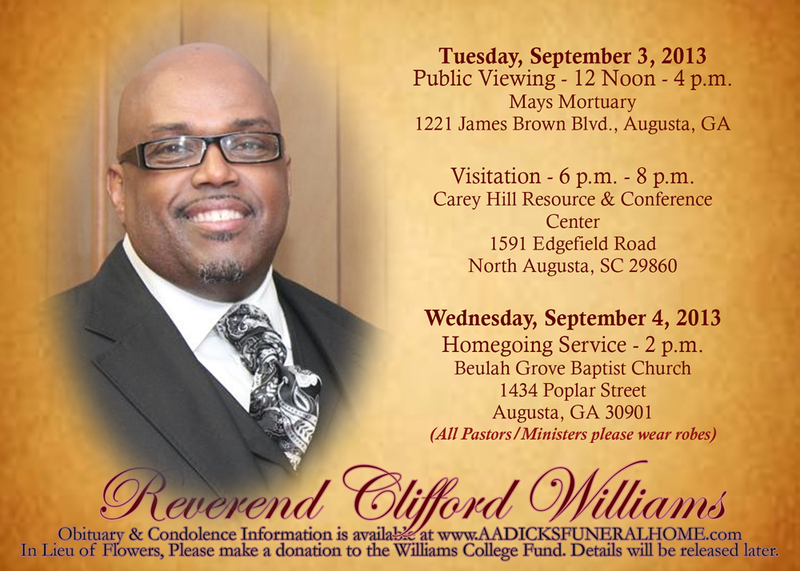 Dr. Winters was a friend to preachers and had an open pulpit. If you had a preacher in town he would bring him in. When Dr. Winters invited you, you were assured to be blessed spiritually, financially and of course, he and Sister Betty would make sure you were fed well. They were one of the best role models of Christian marriage I ever witnessed. Dr. Winters often took controversial stands and helped those who were in troubles because he understood that the job of the church is not to kill it’s wounded but to help restore them. He believed in redemption as an act of grace that should be modeled. I’m sure that when the services will be announced, no church in the city will be able to accommodate the crowd. He was a friend of preachers and my friend. For that, I thank you Dr. Winters. PORTLAND, OREGON – The Reverend Robert N. Probasco, Sr., pastor of the First African Methodist Episcopal Zion Church in Portland, Oregon has gone home to be with the Lord. 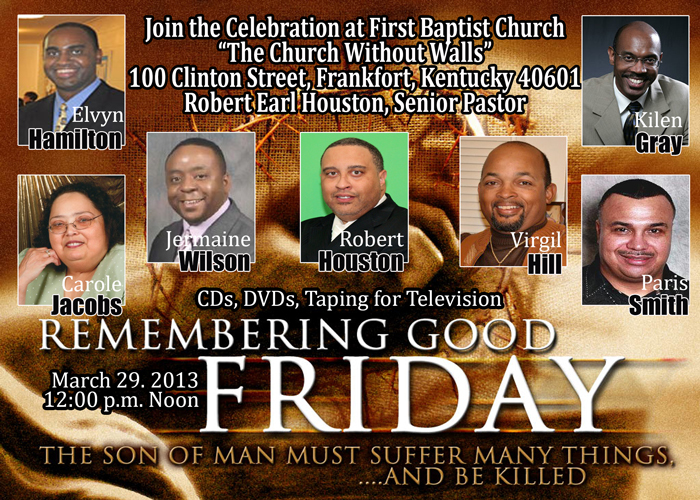 His homegoing services will be held at the New Song Community Church on Saturday, March 22, 2014 beginning at 11:00 a.m. Please keep the family and church family and the connectional church in your prayers. Today is a new day. You will get out of it just what you put into it…If you have made mistakes, even serious mistakes, there is always another chance for you. And supposing you have tired and failed again and again, you may have a fresh start any moment you choose, for this thing we call “failure” is not the falling down, but the staying down. I wish all who have arrived at this day the best. Perhaps we all from time to time need to be encouraged. In every position in life we are learning. If you have failed and you feel you gave your best don’t stop trying. We have a God who has promised never to leave us even in our down moments of failure. Today I remind you and myself, get up thank God for the chance to begin anew. DALLAS – Dr. John Dee Mangram was the first of six children born to Ruther and Viola Reed Mangram. The family worshiped at the Springhill Baptist Church in the Faker Community located outside Pittsburg, TX. At the age of twelve, John Dee was the teacher of the adult Sunday school class. He attended Garfield Elementary School and Fredrick Douglass High School in Pittsburg, TX, graduating valedictorian of the eighth grade and senior high school. He was awarded a football scholarship to Jarvis Christian College in Hawkins, TX in 1941. Following graduation from Jarvis Christian College with a Bachelor of Arts degree, he received the Bachelor of Divinity degree from Howard University School of Divinity; the Master of Sacred Theology degree, Yale University and the Doctor of Theology degree at the Pacific School of Religion in Berkeley, California. Around 1950 John Dee married Bobbye Durham. When they moved to Dallas in 1968, they united with the Munger Avenue Baptist Church. John faithfully served in the pulpit and taught the Joshua-Garth Church School class until his death. Dr. Mangram served as the Assistant Director of the Labor Education and Cooperative Extension Service, Pendle Hill School in Wallingford, PA; University Minister and Instructor of Religion, Lincoln University, Oxford, PA; Chaplain and Assistant Professor of Religion, Tougaloo College, Tougaloo, MS; Minister First Congressional Christian Church, Meridian, MS; Minister, The Church for the Fellowship of All Peoples, San Francisco, CA. In 1967, he was appointed Chairman of the Division of Religion and Philosophy and Professor of Religion, Bishop College, Dallas, TX, as well as a five-year term as Dean of the Chapel and Director of the Lacy Kirk Williams Ministers’ Institute. In 1988, Dr. Mangram began serving as Coordinator of the Area of Religion in the Division of Arts and Science, Jarvis Christian College. In 2007, he became Professor Emeritus and designated writer of the history of Jarvis. He has contributed to publications in the areas of religion and education and participated in a Festchrift celebrating the seventy-fifth birthday of the late Howard Thurman. Dr. Mangram was granted the Distinguished Alumni Award from Jarvis Christian College and Howard University, “Man of the Year” Award from Tougaloo College, and the Minnie Stevens Piper Prize for Outstanding College Teaching in 1992. He was also a Fulbright Fellow, studying and traveling in Korea in 1994. In 1995, he was inducted into the Jarvis Christian College Pioneer Hall of Fame. He received an Honorary Doctorate from Georgetown College in Kentucky in 2009. He was preceded in death by his wife, parents, brothers Ruther Jr., James and Bennie West; sister Noretta; nephew Michael Ray Mangram and nieces Koleta W. Manning and Sandra S. Woods. John Dee is survived by a loving sister, Marlene Mangram Woods of Pittsburg, TX; sisters-in-law Audrey Mangram of Lancaster, TX, Evangeline Mangram of Pittsburg, TX and Gloria Mangram of Dallas, TX. He will be fondly remembered by special niece, Patricia Woods. Others left to cherish his memory are nieces, Cynthia W. Smith, Rosalyn W. Smith, Gwen W. Criss, Martha Woods, Janice M. Kemp and Carolyn M. McCray; nephews, Mickey Woods, Kenneth Earl Mangram, Steven Mangram and Randy Woods and other loving relatives and friends. Devoted friend, Patsy C. Smith and the members of Munger Avenue Baptist Church will treasure and fondly recall the life of John Dee Mangram. 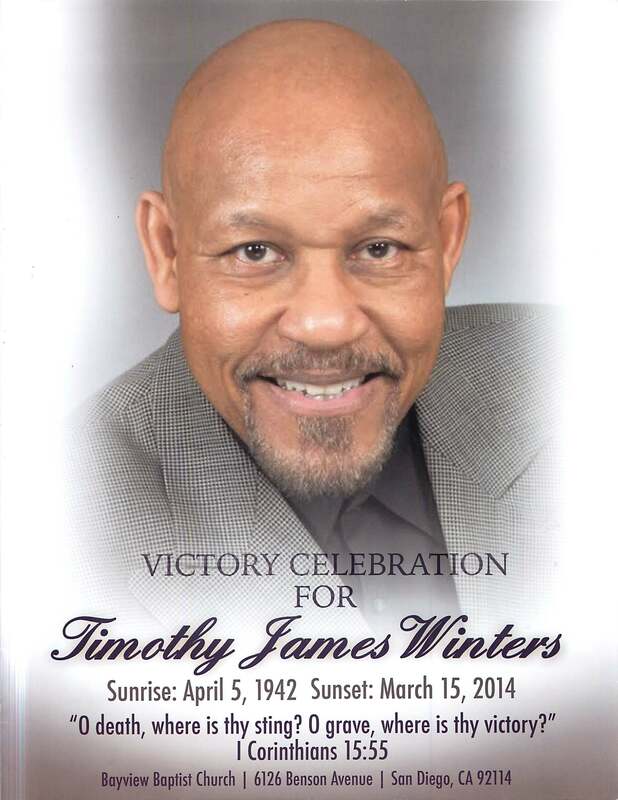 The wake service is Thursday, March 13, 2014, 6-8 pm at Munger Avenue Baptist Church, 3919 Munger Ave., Dallas, TX. Funeral service is Friday, March 14, 2014, 11am at Friendship West Baptist Church, Wheatland Road, Dallas, TX. This has been brewing in my spirit all day. I want to offer some advice to young preachers – I mean those who are teenagers/early 20s – who have been called to the ministry of the Gospel of Jesus Christ, and commissioned to carry this glorious gospel into all the world with power. I was a “boy preacher” at 17 years of age, who received a call from the Lord during my senior year at Thomas Jefferson High School in Portland, Oregon and the late Dr. Arthur Bernard Devers, I, was my pastor at that time. I missed out on some social interactions because “I’s a preacher now” that at the age of 53 I regret. I also dismissed out of hand some experiences, celebrations (i.e. my senior prom) and other activities because I was a minister. I felt that I should be “the preacher” all of the time and I actually lost the opportunity to be a Christian witness at some functions because I was not there. Listen, age will catch up to you. You don’t have to pretend and personify a “preacher’s vocabulary” at 16. 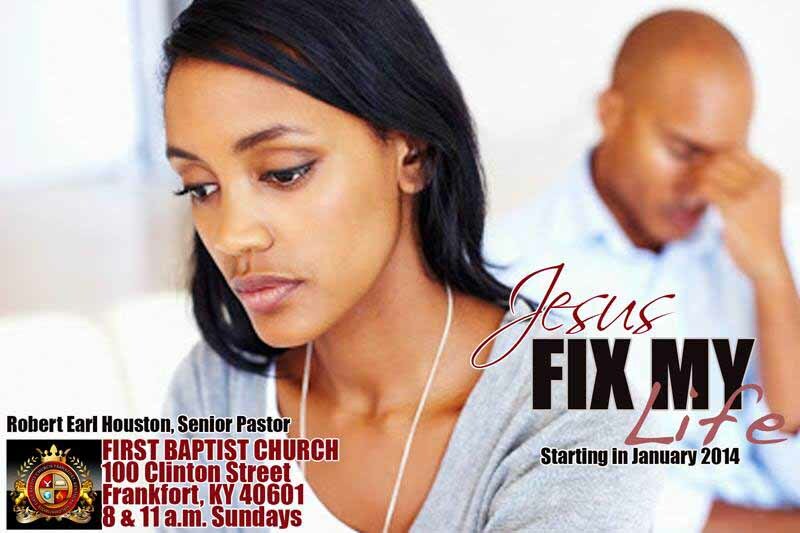 There’s plenty of time to answer the phone, “Praise the Lord” or even have a voicemail that says “You’ve reached Minister XYZ, the associate minister of the ABC Church located at (address). I’m busy serving an awesome God, please leave your name, message, and this ministry will return your call at our convenience,” when the truth of the matter is that you’re in Algebra class, where you usually are around 11 a.m. in the morning on a Tuesday. While you’re young – enjoy life. I’m not saying don’t be committed to your Pastor and Church, because you should be, that’s granted. However, while you’re young – enjoy life. Travel. Broaden your mind. Broaden your experiences. Take your time in life. Read – not just the Bible, but books that will stimulate and challenge your thought processes. Don’t make the mistake of other preachers who were called as a kid, got married (because you thought you had to in order to get a church) at 18, divorced at 19, drunk or high at 20, and then quit the ministry at 21. Learn how to say the words that may save you in the future – “no” and “not today” and learn how to inhale and exhale – it will save you stress in the future. One of the worst things I did as a “boy preacher” was becoming Minister Robt. 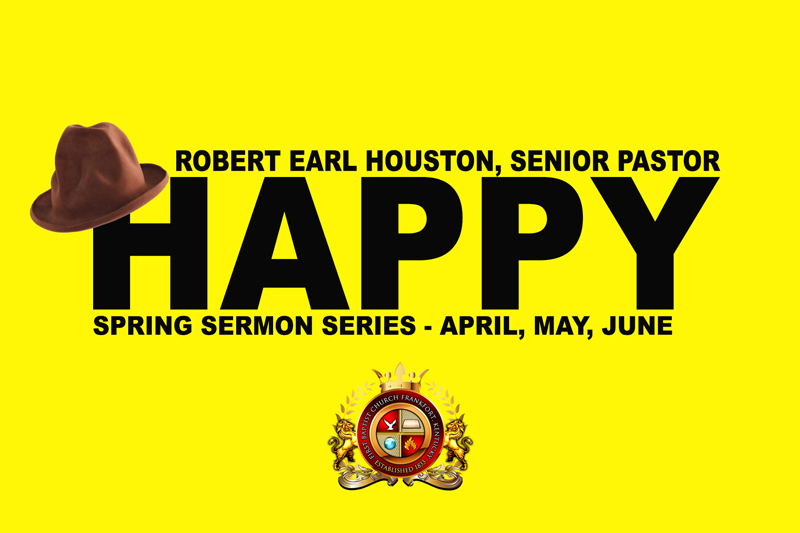 E. Houston (I learned to abbreviate Robert to Robt. from two people – my English/Journalism Teacher, Ruthann Hartley-Harris and Dr. Robt. H. “Bob” Wilson, Sr. of Dallas, Texas) before I learned who Robert Earl Houston was. I worry about a generation of young preachers who call each other “Doc” and “Bishop” and “Apostles” and don’t know the difference between preaching and performance. Do you know what Jesus called Peter? He called him Peter. Young preacher you don’t need armor bearers, ministry logo, a briefcase (and yes, I had one), scheduling service, business cards, websites, product, and all of the entrapments of ministry. How about becoming a great Christian and human being first? As one preacher of old once said, never build a skyscraper on a chicken coop. Remember this – one day you’ll grow up and you’ll look back and see pictures of you in the pulpit, but where will be the pictures of you in the pool, playing pool, singing with your friends, eating a meal, wearing silly hats, and vacation venues or explorations or bike rides or just a photo of you smiling?